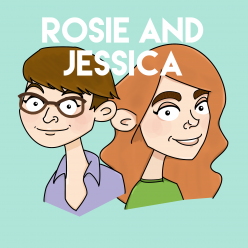 In episode 79, Rosie and Jessica are joined by their beloved transatlantic sister-friends, Dames Sophie and Margaret of Two Bossy Dames for a special, bumper episode. They share the Top 5 things about Britain and America, which, unsurprisingly, is mainly food-based. There is delight, giggling, friendship, marvelling at crisps and Pop Tarts, misadventures at the DMV and all in all, a good time is had by all.